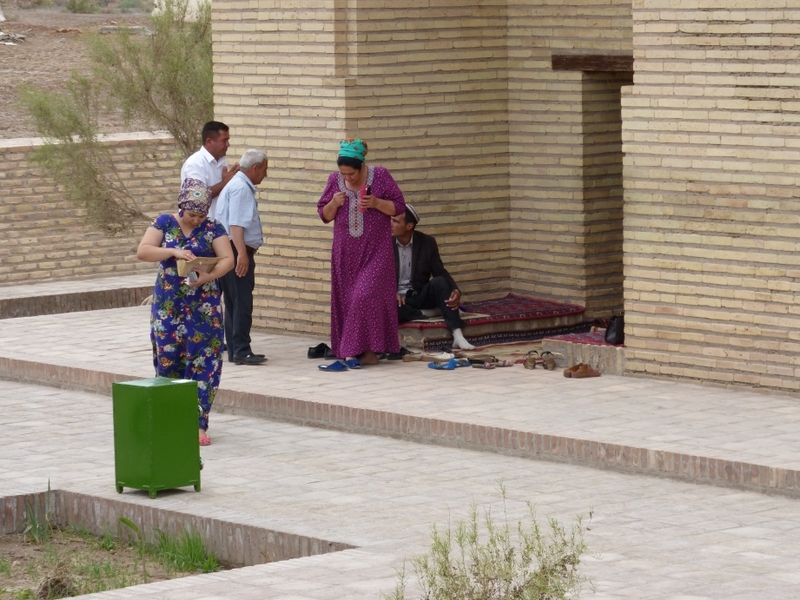 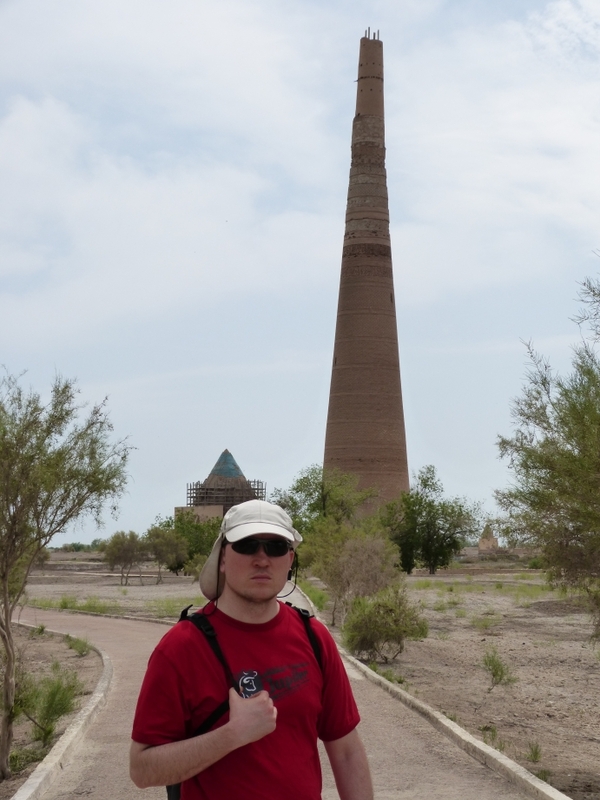 My last place of visit in Turkmenistan was the Unesco site of Kunya Urgench near the city of Dashoguz. 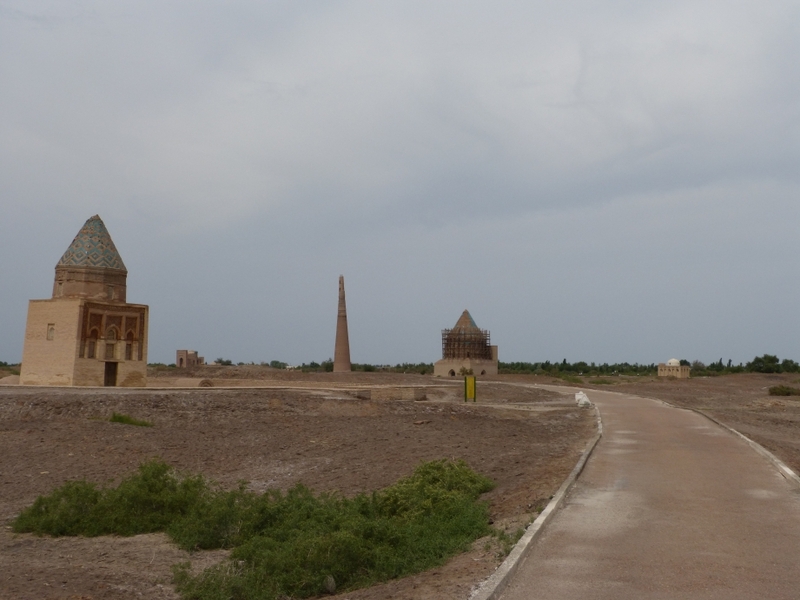 In Kunya Urgench you follow a long path, along it you will see old buildings from the 11th till 16th century, Sultan Tekesh and Arslan mausoleum,Gutlug Timur minaret and the Turabeg Khanym mosque or mausoleum, it’s not clear untill this day which one of the two it is. 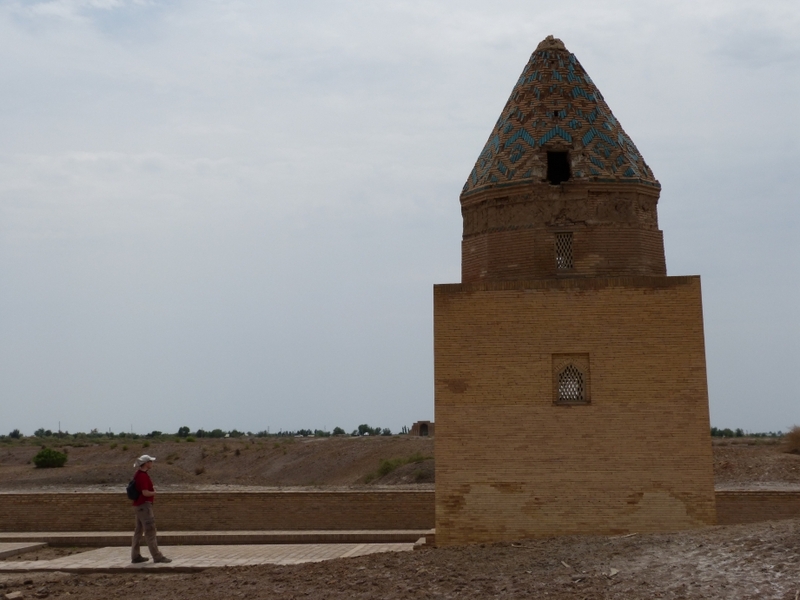 7 monuments in total and I didn’t spend many more time here because once you have seen these few building that are a little bit spread over the landscape along the path you have seen it. 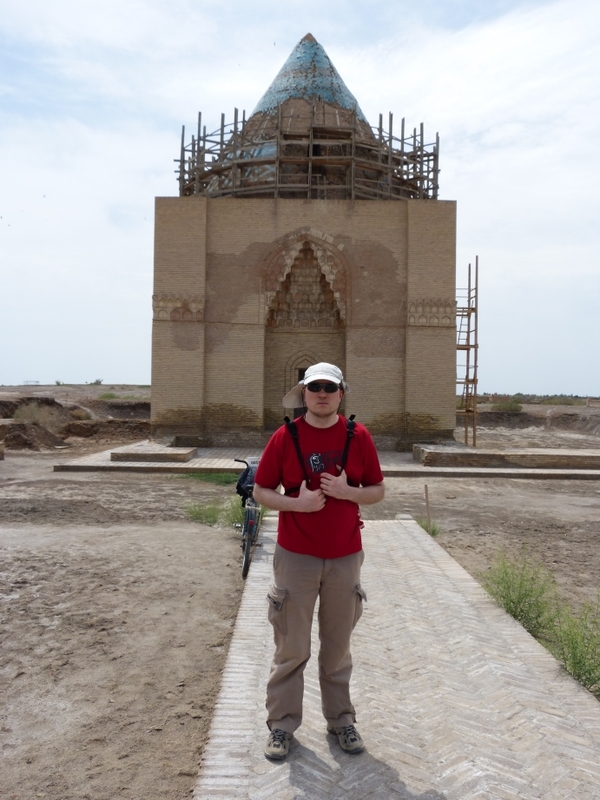 It took me not even half an hour before I went back to my driver in the 4X4 jeep to take me to the border between Turkmenistan and Uzbekistan for my first border crossing in the Stans. 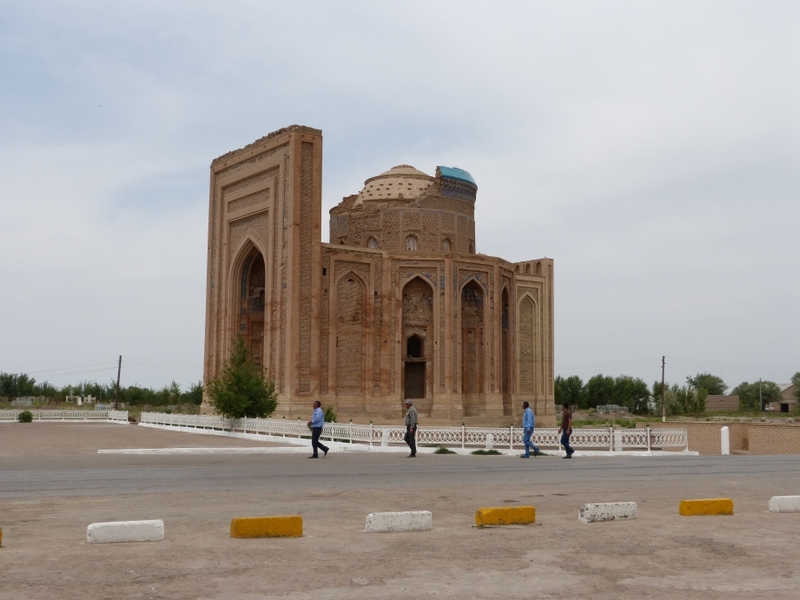 From the Turkmen province of Dashoguz to the Uzbek province of Karakalpakstan which has an autonomous status within Uzbekistan. 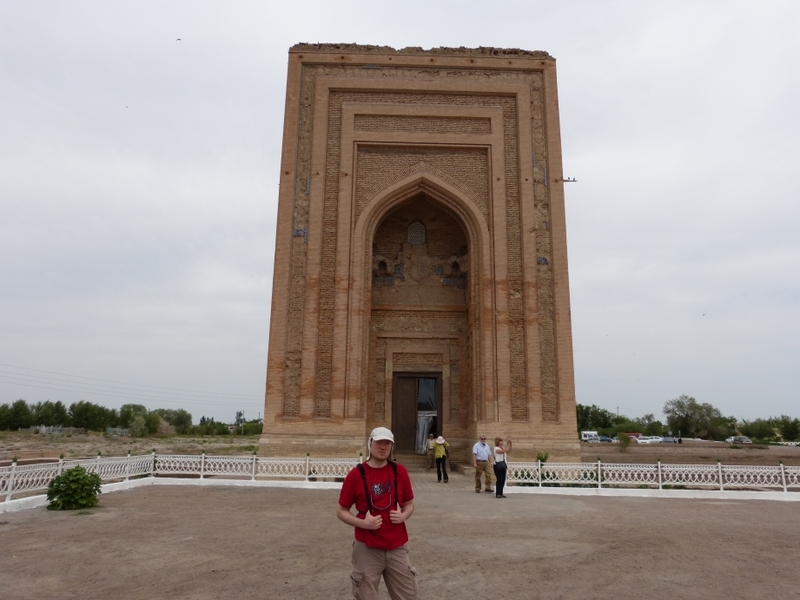 I visited the city of Khiva there.